Acupuncture is a therapy where micro-thin sterile needles are inserted into the body at specific points. These points are known for their bioelectric therapeutic effects. These points, which total over 1000, have been meticulously mapped out on the human body. These ‘maps’ are called meridians. They were documented by the Asian sages thousands of years ago. Although medicine today cannot fully explain how acupuncture works, modern technology has confirmed the bioenergetic activity of these points. This has been studied by using bioelectric research instruments that scan the body. This bioenergetic activity, known as Qi, is the cornerstone of Oriental Medicine. 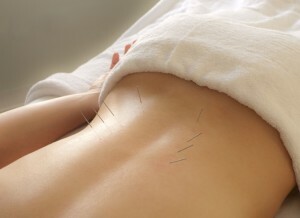 Modern research has shown that Acupuncture can enhance immune system activity. It also stimulates the brain to release oxytocin and endorphins from the pituitary gland. Oxytocin and endorphins are the body’s own natural pain relievers. Opiates which are up to 10 times more powerful than morphine! Where the free flow of Qi is blocked, there is pain and disease. Acupuncture balances and adjusts the flow of Qi, restoring health and harmony in the body. Oriental Medicine works by re-establishing the body’s balance or harmony. In the ‘language’ of Oriental Medicine, balance is accomplished in the following ways. By cooling what is too warm (menopause and hot flashes). Drying what is too wet (eczema). Moistening what is too dry (stiff tendons and ligaments). Building up where there is too little (fatigue and tiredness). Lessening where there is too much (weight gain and inflammation). Moving what is stuck (depression). And correcting the flow of what is flowing incorrectly (pain). Where there is balance and harmony – there is good health! Acupuncture combined with Customized Herbal Prescriptions (raw herbs shown above) enhance success. 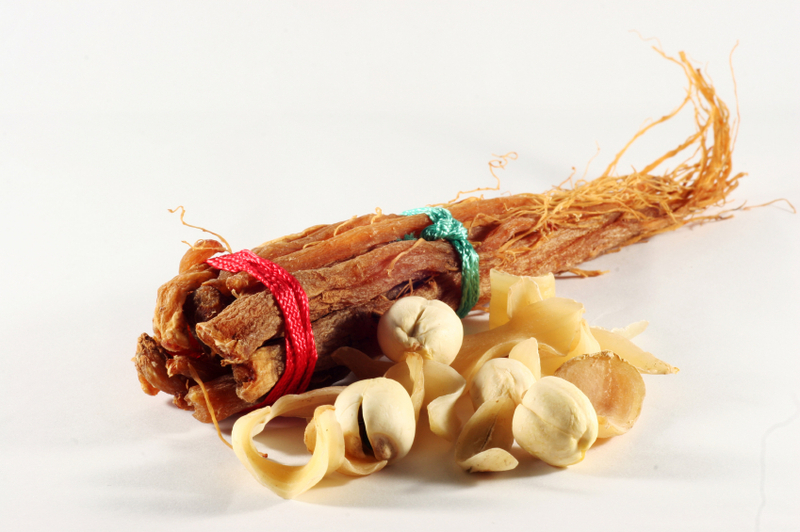 Customized herbal prescriptions are prepared according to the patient’s Oriental Medicine diagnosis. The prescription will address the patient’s main symptoms and their overall state of health. Only the finest herbal medicine components are used, guaranteed by the herbal supplier to be virtually free of toxins and contaminants. Herbal medicine treats a full range of human disease, acute and chronic. Your herbalist will ask you what medication you are presently taking to make sure it is safe to take together. On its own, your herbal prescription is safe and effective. It is especially good at promoting the body’s ability to heal and recover from illness, accidents and/or emotional stresses. Homeopathy is a natural medicine. It’s very different from the pharmaceutical drugs most people know. It works in a different way and many people don’t even believe in it. Many people, like myself, work with homeopathy and have seen it work wonders. A remedy is carefully selected and given to a patient to stimulate the vital force, or Qi. The remedies are made from natural sources such as plant, mineral and environmental components. They are diluted (or potentized) far beyond their original form. In this new form they can better affect the body without detrimental side effects. To achieve a homeopathic “cure” is to find the remedy that matches the patient’s signs and symptoms, particularly the rare and peculiar details. The goal is to provide a rapid, gentle and permanent restoration of health.